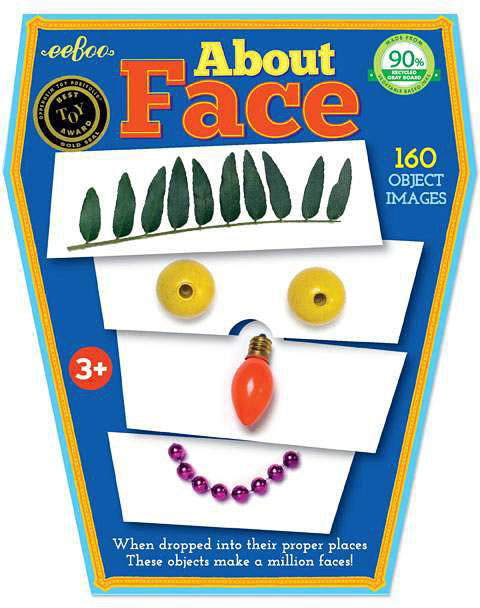 Create a near-endless cast of characters from printed images of leaves, ribbons, coins, and a variety of other found objects. 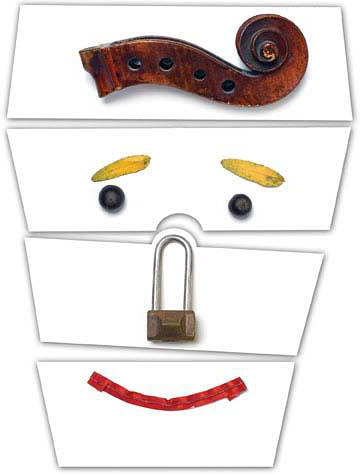 Best known for the award winning Play With Your Food books, artist Saxton Freymann has returned with another inspired bit of metamorphosis. 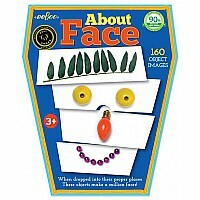 Matched "face" pieces feature photographs of objects found at the seashore and on the streets of New York, that can be arranged to create expressive faces. 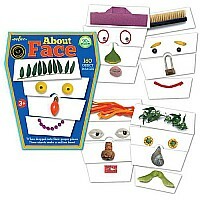 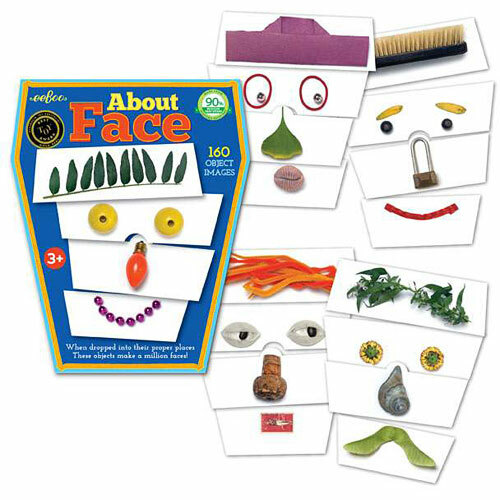 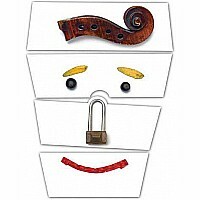 By engaging in this activity, children develop the ability to identify and express characteristics of human emotion through facial expressions they create using the pieces. This is an especially helpful process for children who struggle to relate to emotion in others, or who have difficulty expressing their own feelings.